In addition to our cleaning services in Kent we provide property maintenance services in Kent to a range of clients ad can fix anything from a leaking tap to installing a brand new bathroom or kitchen. Whether you need a plumber, electrician or painter and decorator Nazure can supply reliable trades people who take pride on what they do and at very affordable prices. Nazure can provide qualified and experienced painters and decorators in Kent with the ability to transform your home or brighten up your business premises or communal areas. Our skilled workforce will use the best quality materials and take meticulous care in what they do to ensure complete customer satisfaction. Blocked drains can be a big problem to tackle and is best left to professionals. We do not have any call out charges for drain clearing and only charge once your blocked drain problem has gone away. 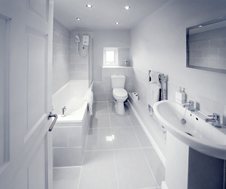 Our team of qualified and experienced plumbers provide a complete range of plumbing services in Kent to both domestic and commercial clients. It may be a simple job such as a leaking tap or burst pipe or you may require a brand new bathroom suite or shower. Either way you can be sure of a quality plumbing service for your home or business. Our qualified electricians are on hand for simple jobs such as changing light switches or putting up a security light. We can also provide electrical services in Kent for complete house rewires to make sure you property complies with current legislation. Not got time or the inclination to build that flat pack? Call Nazure for all the odd jobs you need doing. Hanging doors, fixing curtain rods, cleaning gutters - we do it all. In fact it would be easier to list what we don't do!! We don't like to just be in the warm! Well take care of the garden as well. Our garden maintenance service in Kent is available for regular lawn mowing, hedge trimming, pruning or weed clearance leaving you to relax at weekends and enjoy the things you want. 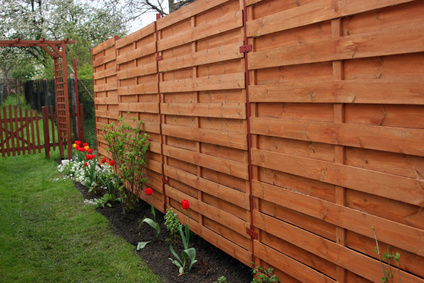 We can also repair or replace worn/damaged fencing, install new fencing or give your present fence a fresh coat of preservative. Additionally we provide the same services for patio/wood decking. Garden maintenance services are also available for property management companies who manage communal blocks of flats. Solar PV panels are a big investment, so make sure your capital is working as hard as it can by asking Nazure to help keep those panels working as efficiently as they were designed to. As well as cleaning windows in Kent with our ladder-free, pure water system, Nazure can also repair windows. We can supply and fit all types of glass from damaged double glazed units to fitting mirrors or glass shelving in the bathroom. As a client of Nazure I would like report on the excellent service I receive. It's not uncommon for cleaners to begin doing a great job and slowly slack in their performance. This is not the case with Nazure. The employees' attention to detail and meticulous service has not waned. The professionals at Nazure are friendly, efficient and skilled at what they do. The team of cleaners is honest and prompt. The team comes in, gets the job done, and leaves my home looking and smelling sparkling clean. I highly recommend the services offered by Nazure. The cleaning and customer service receive a "five star" rating from me! Folkestone .